It’s a busy time of year for many car shipping services. Snowbirds living in New England are making their way down south for the winter, many of them traveling to destinations like Miami, West Palm Beach, Tampa, and Orlando. They’re looking for warm weather, sunny skies, and a pleasant winter–and many of them don’t want to have to make the long drives associated with that trip on their own. Perhaps you prefer to fly down instead of spending days in the car. Or maybe you have more than one vehicle that you want to make the trip with you, but prefer to travel with your spouse or your friend in the same vehicle. Whatever the case, a car shipping service can help get your car to its destination. Auto shipping rates generally rise as temperatures drop throughout the northern states, usually reaching their peak in the first couple of weeks of January. Many snowbirds choose to stay with their families through Christmas, then travel to Florida to enjoy the rest of the season in warmer climates. Unfortunately, this can mean increased travel costs–including the cost of shipping your car. As you’re choosing your shipping time, consider some key details. Is there someone in Florida who can receive your car for you if you ship it early? Sending your car to Florida in early December, for example, may mean a much lower rate–and faster transport–than shipping your car at the end of the month. Do you need your vehicle immediately? Waiting a little later in the month may make it easier to secure a good rate, especially if you have someone at home who can meet the shipping company to hand off your car. How long can you do without your car up north? Will you and your spouse, for example, need two vehicles during the busy holiday months, or will you do most of your traveling together? One of the most difficult challenges associated with shipping your car is arranging for the logistics. You need to leave your home state at a specific time, and you want your car to meet you at your target destination. In order to streamline the process and decrease your costs, it can be helpful to have someone on hand to offer you a little assistance. Having a friend or family member meet the car shipping company, whether at your northern home or target destination, will free you up to travel at your normal pace. As winter road conditions can cause delays, shipping dates are not exact. Someone needs to be at both ends of the transport line — at the point of origin and the target destination — to work with the car transport company. With a little help, you can make this process stress-free. Plan ahead, and arrange for someone to meet the car carrier during the specified transport window. Many car shipping companies will offer you what appears to be a great deal up front. But with the increased snowbird shipping demand, they fall behind on the deal. Many companies will move the highest-priced shipments first. 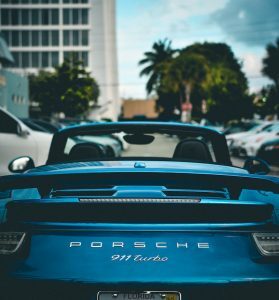 That means that if you’ve secured an incredibly low rate, you may find yourself waiting for days or weeks for your car to arrive in Florida. Before you sign on the dotted line to secure your car transport, make sure you understand when the car will be shipping, how long it will take to arrive, and any other details associated with the shipment. If you need your car to meet you in Florida as soon as possible, it may be worth paying more for the convenience. Are you looking for a great deal when the time comes to ship your car this year? In spite of the busy season, contact us for a free quote! We’ll work with you to secure a great price on your car shipping service as well as a great turnaround that will get your car back in your hands when you need it most. Enjoy your trip and your winter in warmer climates; let us handle the details.